The state of Florida currently has 51 annual fairs, so tourists and residents alike do not have to travel too far to find a circus, county fair or carnival in the area. 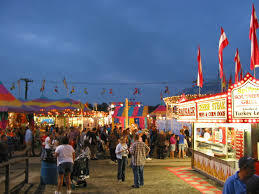 Fairs and other travelling events provide fun and excitement for the entire family, which is why most people look forward to the fair coming to town. While we expect ride operators to be fully trained on how to set up rides and safely operate any equipment and machinery, most of us do not think that ride operators will neglect the safety of passengers to text or use their cell phones. However, the reality is that many employees at Florida fairs are whipping out their cell phones to send a quick text or play a game when they should be working a ride. While a recent investigation found that most fairs and amusement parks have policies that prohibit employees from using mobile devices while operating rides, many employees still use their phones when they are supposed to be making sure the rides are running safely. The Consumer Product Safety Commission studied carnival ride injuries and deaths in 2005. The agency looked at five incidents involving passengers who escaped the rides’ restraint systems, including a toddler who died after falling from a vehicle while on a fair ride. Both owners and operators of fairs, carnivals and amusement parks are legally liable for making sure that their parks are as safe as possible. This means that ride operators and employees must act responsibly‚ all rides must be well maintained and in working order and all areas where guests and visitors walk are safe. When unfortunate injuries occur, the park owner, ride manufacturer and even ride operator may be held responsible. If you believe you or someone you love was injured at a fair, carnival or amusement park because of the negligence of an owner or operator‚ A Florida Amusement Park Injury Attorney at Whittel & Melton can help. To set up a free consultation to discuss your amusement park or fair injury, please call us today at 866-608-5529 or contact us online. We can help you determine if you have a valid claim, make sure you understand the legal process and outline a plan to ensure you receive the financial compensation you deserve.